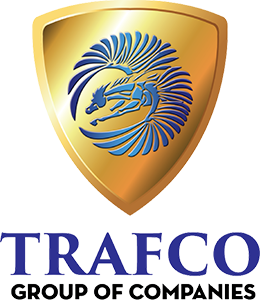 With the success of one venture, our Group initiated and launched a company by the name of TRAFCO Tracking (Pvt.) Ltd. in the year 2006. In the past 9 years we have become one of the best and largest Tracking Company operating within Pakistan. At this point of time we are looking after a fleet of more than Thirty Thousand vehicles for the purpose of fleet management and vehicle security. All leading banks rely on our expertise to secure their assets. Furthermore, we are the only company which is fully equipped to “Track”, “Secure” and “Optimize” performance of both moveable (Trucks, Cars, Tractors, motorbikes etc.) and non-moveable (Office/Home Generators, Office management etc.) assets. Trafco Insurance Company (TIC) was brought into existence in the year 1957 but TRAFCO Group of Companies took over its operations in 2014. TIC is enlisted with SECP. TIC offers tailor made insurance solutions for its customers. Our indigenous teams are especially selected to provide full risk assessment and effective decision. TIC along with its partners believes in quality. Therefore, we always deal with “A” rated reinsurers to guarantee peace of mind for our customers. The Group continues to grow and prosper through its illustrious past and is continuously on the look out to innovate and provide ever increasing quality and standards of service through innovation, expansive resource utilization, well-honed experience, passion, dedication and a fiery commitment to a well-defined set of core values and principles.